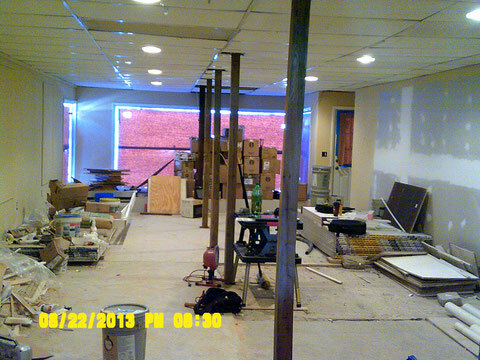 Looking toward back of building, on sales floor side, this wall is to be removed. 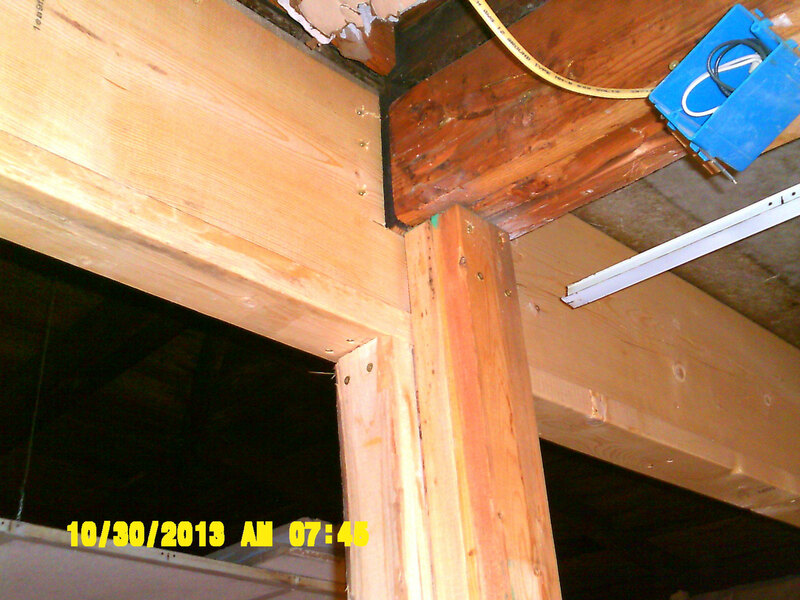 New roof support beam with new header looking toward the front of the store. 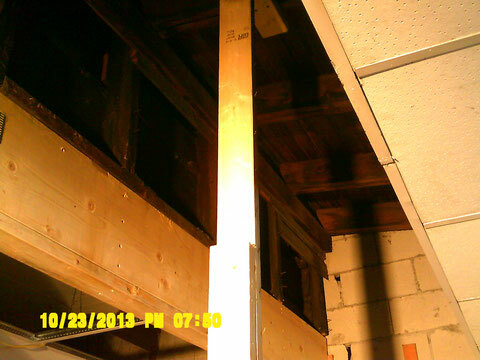 The roof had started to sag at the junction that this beam now supports causing a roof leak. 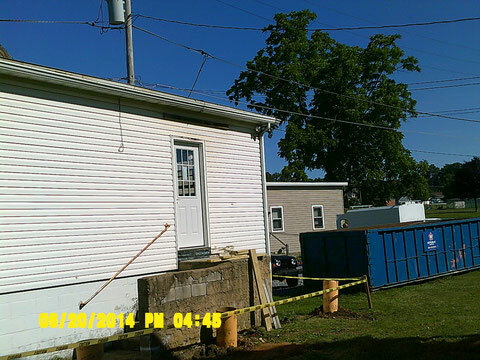 Front West forner of our building, the door at the back will be our future wheelchair accessable entrance, the front entrance will also be usable for those that do not require mobility assistance. 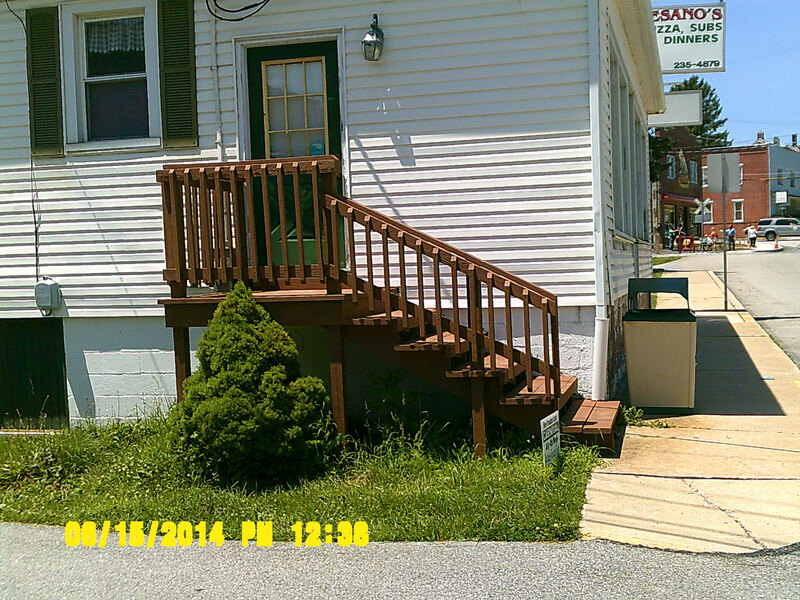 Photo of the freshly painted exterior entrance steps to our shop/office/stockroom area. 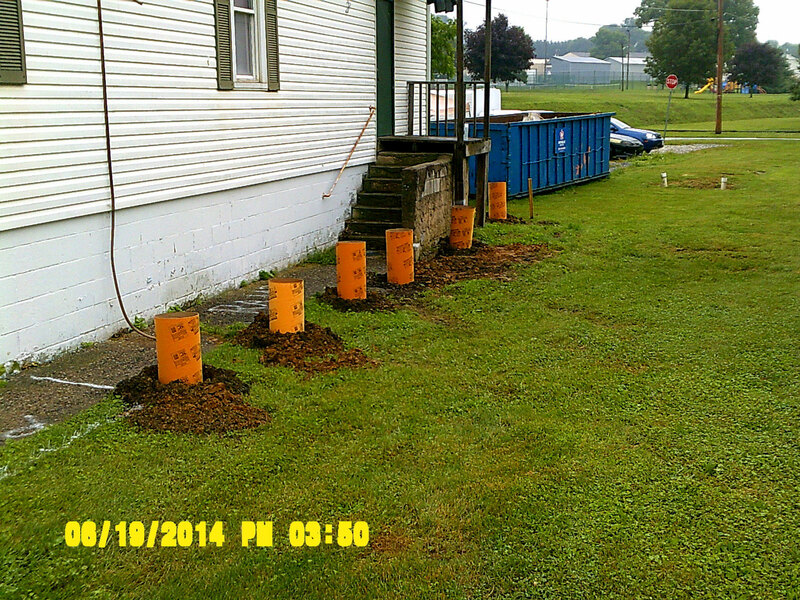 Holes dug, and casings in place for footers for ADA ramp. Store Sign being installed by Schaffer Sign Co.
West side ogf the building, old wood porch removed, and door replaced in preporation for building the ADA ramp. 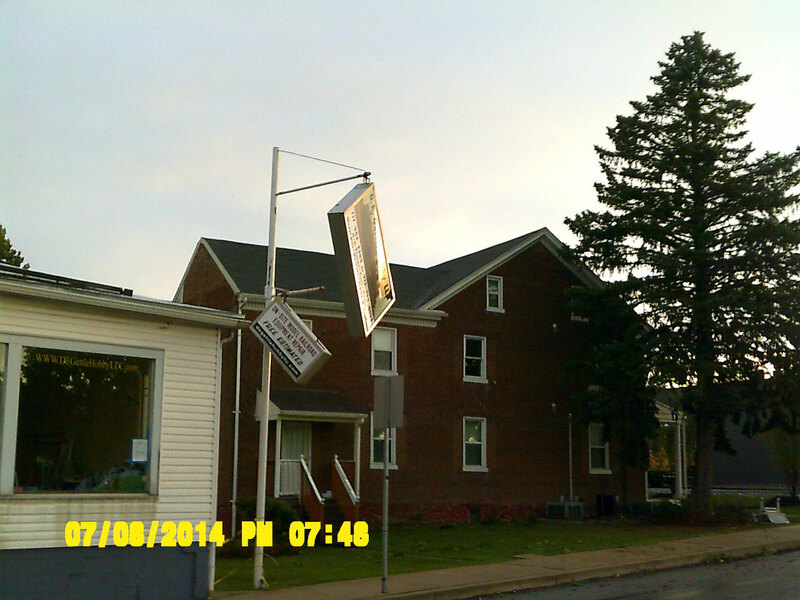 Unfortunately our new signs were the victim of the recent wind storm that caused damage to many structures and trees in New Freedom on July 8th 2014. Not to worry, we are working with State Farm to get a replacement, fortunately only the larger sign was actually damaged, the smaller one just needs a new clamp to keep it from sliding. 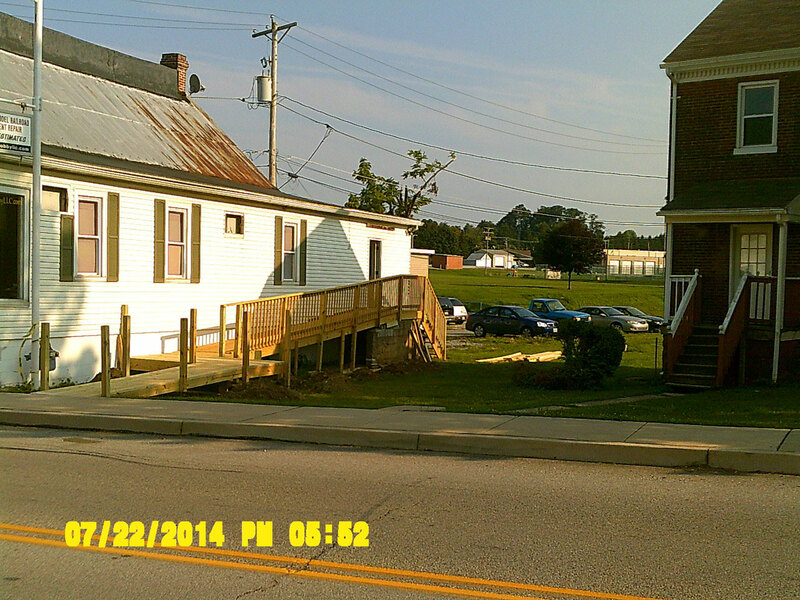 As you can see here, the work on the new ADA ramp is progressing. 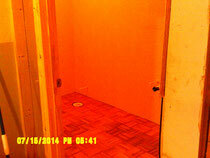 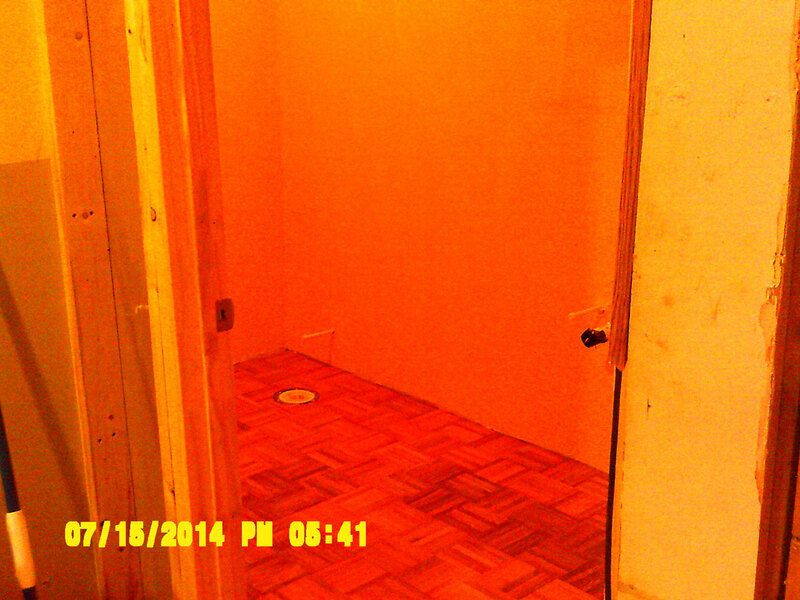 As you can see here, the new ADA bathroom is ready for fixtures. 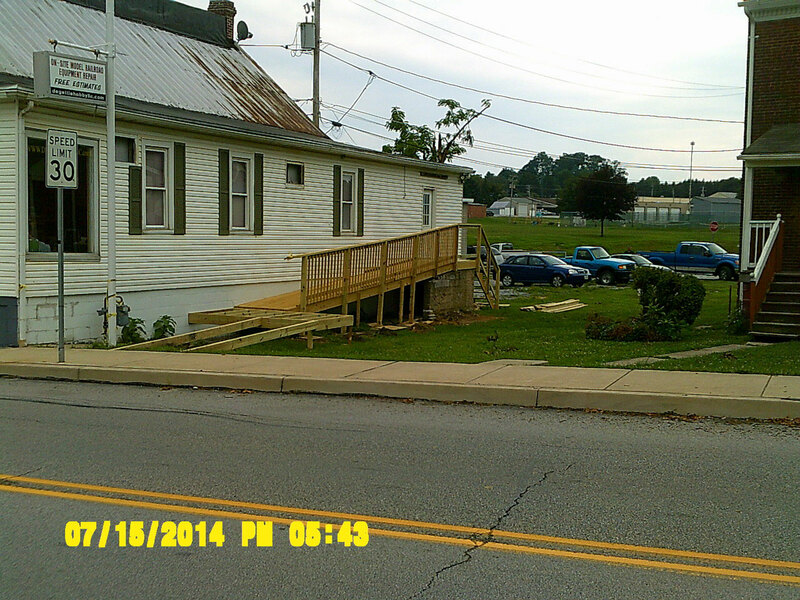 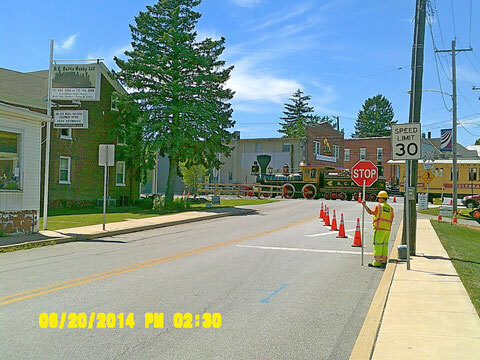 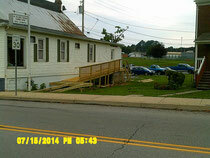 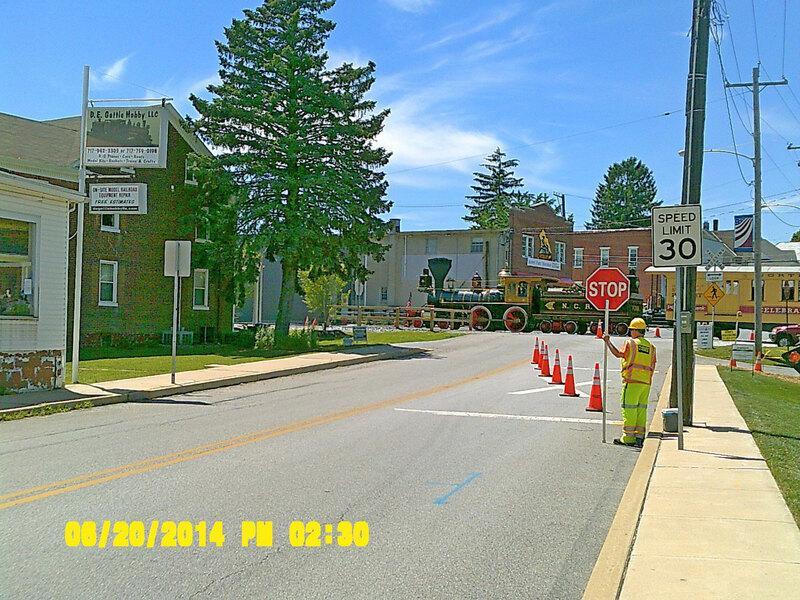 Here is how the ADA ramp looked when we stopped work on 7/22/2014. 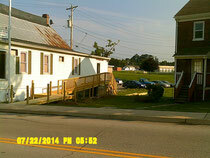 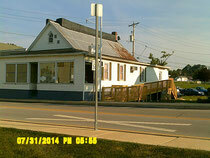 This photo was taken from our front steps looking west by south-west into the building. 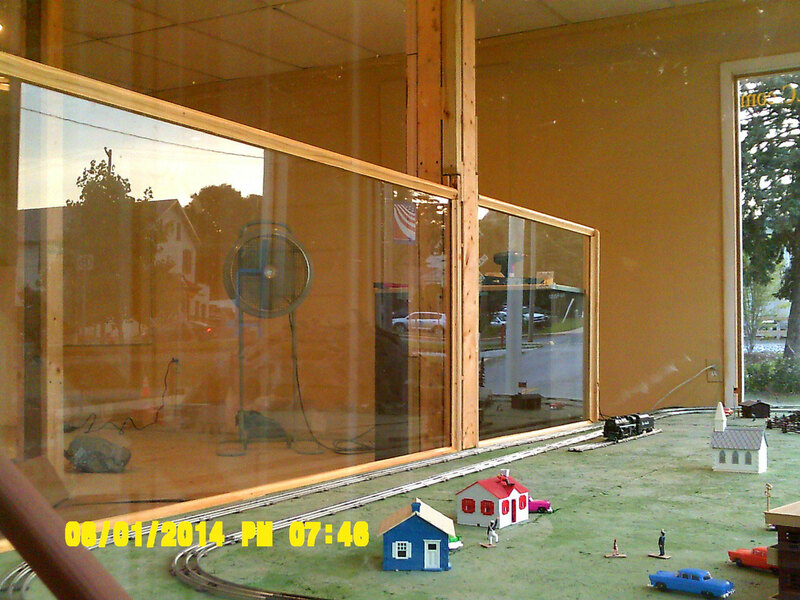 It shows the new safety glass barrior and hand rail that were installed August 1, 2014. 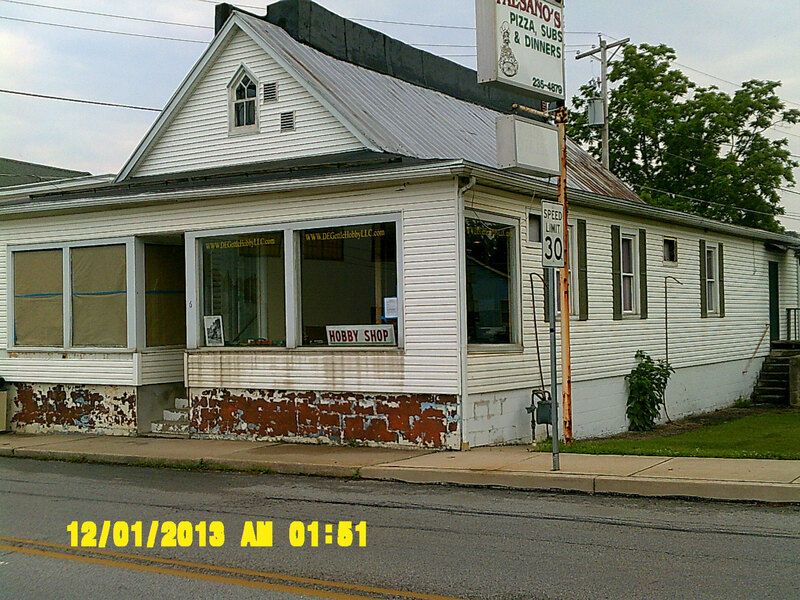 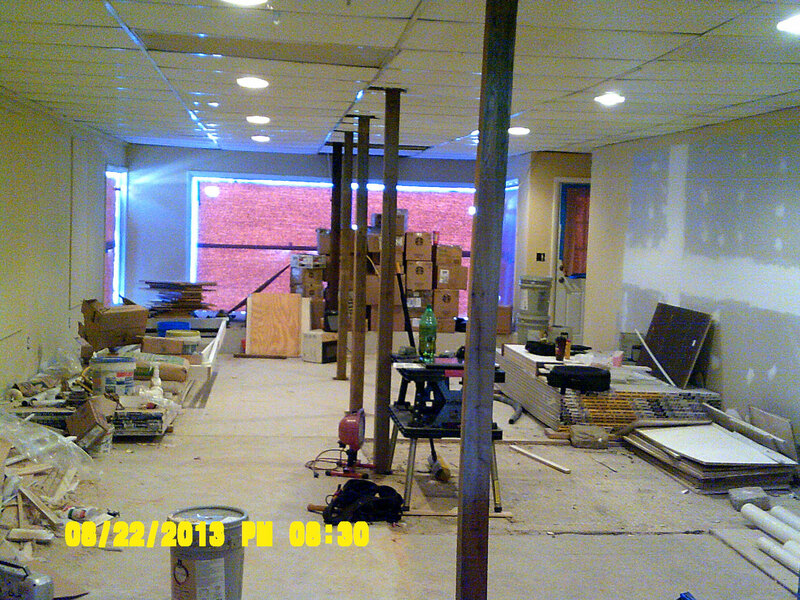 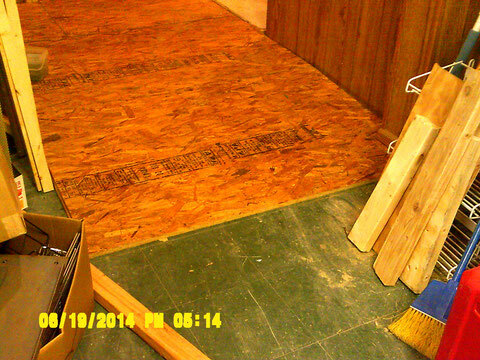 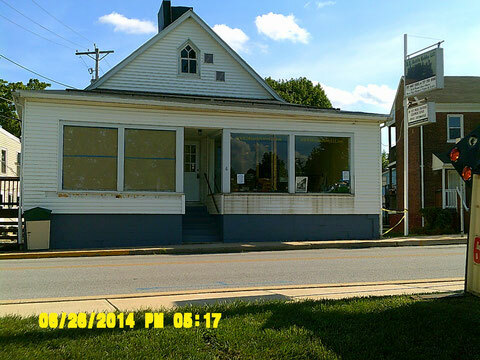 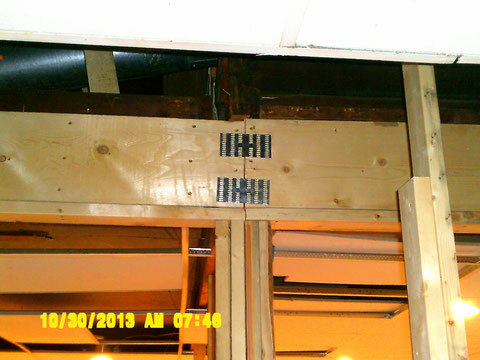 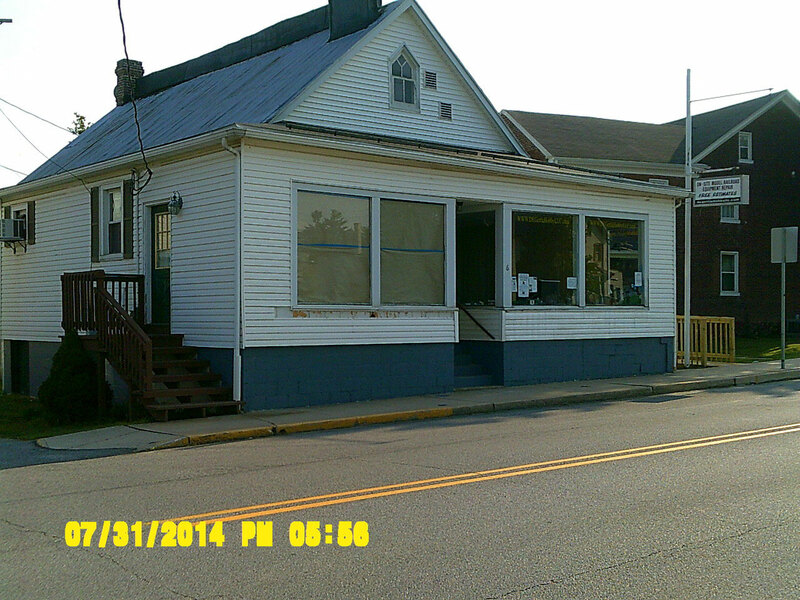 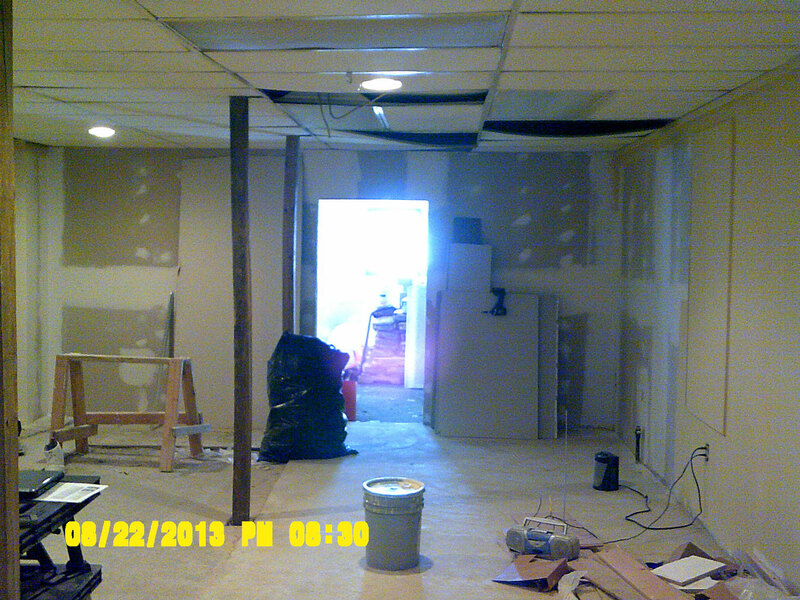 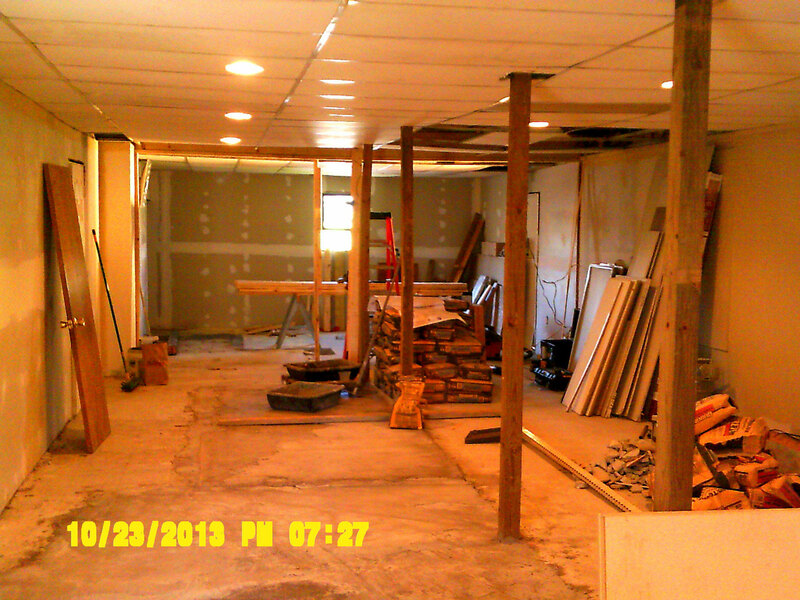 The cabnet shown in the photo will be part of our counter once we are given approval to open by the building inspector. 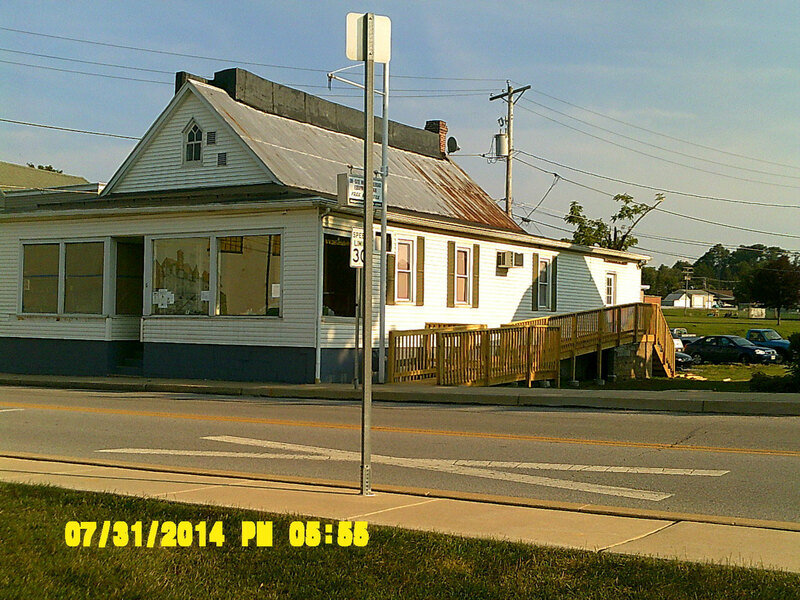 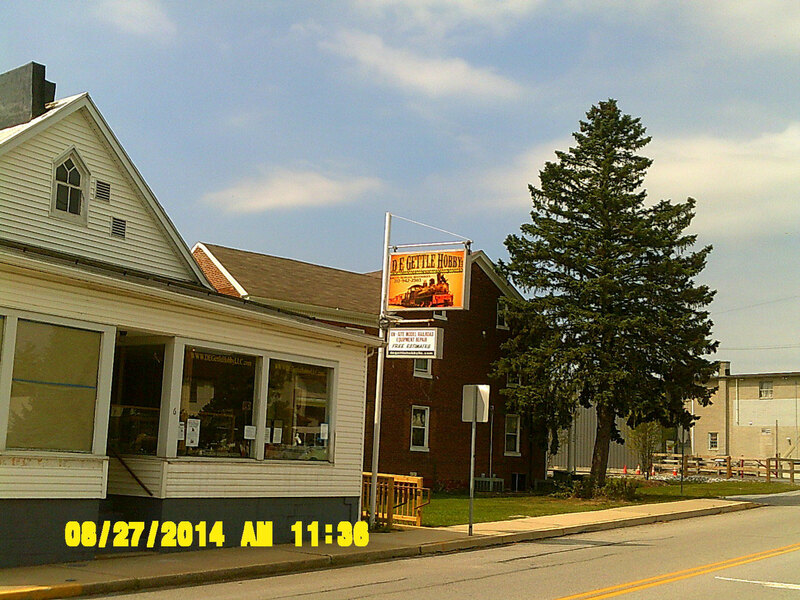 8/13/2014 Got the sign frame back from the local blacksmith, and finished installing the new lighting system in it. 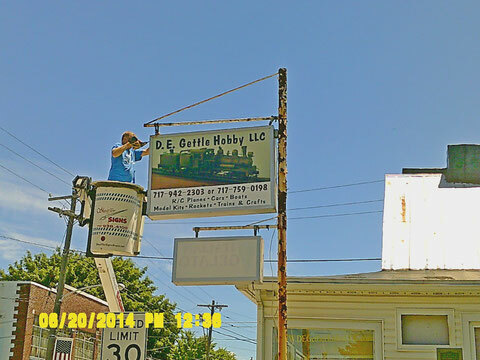 One of the new sign faces is in the sign housing, sorry we are not posting a photo until the sign is up. it's different from the old one. 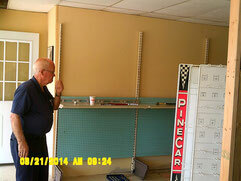 Jim Rogers (formerly of Yorktowne Hobby) helped set up some of the shelving in the store. The new store sign is finally up. 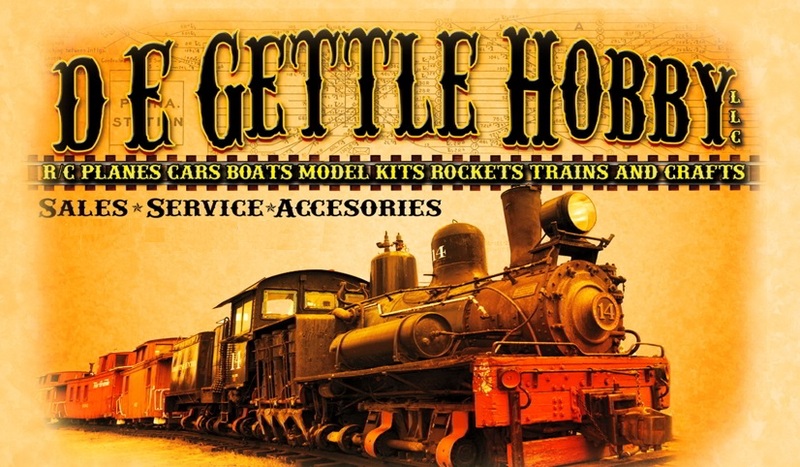 As of today (9/14/2014) most of the store shelving is up, and we are working on putting the inventory we purchased from Yorktowne Hobby, when they closed on the shelves. Only a couple of things to button up before final building inspection (wiring the store sign to the building, putting up a few ceiling tiles, and installing an interior door that is on order.